"By the imperial noonday, then, the spectacle of the empire was flamboyant indeed, coloured as much by oriental despotism and barbaric gesture as by feudal example from nearer home. If it was modernist in some ways, it was antique in others. It embodied the marvellous energy of steam as well as the immemorial pride of horseflesh. It was queenly, but it was savage. It was partly the consequence of dukes, but partly the beat of jungle drums..."
~Jan Morris, The Spectacle of Empire. Adventure Films in Hollywood's Golden Age. Between the 1920's and 1940's, Hollywood frequently turned to Imperialist Adventure stories for inspiration. Read about King Kong, Tarzan and Allan Quatermain's cinema adventures here. 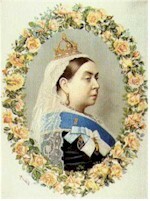 As the British Empire grew to encompass a fourth of the whole world, becoming the great empire upon which the sun never set, the far flung lands under Queen Victoria's dominion inspired writers and poets alike to craft tales of daring adventure in the name of Crown and Country. These stories soon grew to form their own genre of Scientific Romance literature, the precursor to Science Fiction, with it's own archetypes and stereotypes. This was Imperialist Adventure. The Great White Hunter stereotype comes from this genre, as almost invariably, the hero or one of the heroes of the story was just such a character... A white man who sought wealth and excitement in the darkest corners of the Empire. And indeed, this Great White Hunter was usually in search of something like a lost civilization, to serve as the particular catalyst for the novel or more frequently, penny dreadful. Sir H. Rider Haggard is the acknowledged king of Imperialist Adventure, with his famous creation Allan Quartermain. Quartermain was the archetypal Great White Hunter: humble in demeanour, considered righteous in action, lavish in lifestyle, benevolently superior to the natives he was with, and a crack shot with a gun. The Quartermain character served in over dozens of short stories, several of which used his addiction to a fictional perception-altering drug called "Taduki" as a premise for sending him back in time to battle Norse demons and other strange things. Most famous of the Quatermain tales are King Solomon's Mines and Allan Quatermain. The former has Quartermain and his companions seeking out the long lost source of the Biblical king's wealth, and finding a hidden valley of vicious tribal warfare in the process. King Solomon's Mines is regarded as perhaps the purest Imperialist Adventure. The latter book, featured a more regular plot of South African tribal warfare, and was notable for the death of Quartermain. But demand was too much, and he returned in the afforementioned short stories that were a "retrospective" of his career. The actual legend of King Solomon's Mines dates back to Biblical times, which describes Solomon as a wise and powerful king with vast wealth in the form of gold, silver, ivory, apes and monkeys, weapons, spices, jewels, and peacocks. This wealth is accounted for most clearly in the Old Testament book of 1 Kings, chapter 10. Legends began to arise as to where Solomon recieved all this wealth from, and from where was the Queen of Sheba, who gave him much of this wealth. One of the first places looked at was Africa, and both 16th century Dutch and 19th century English explorers associated Sheba with the city of Great Zimbabwe (what would become part of Rhodesia under British rule, now the country of Zimbabwe). It was from these legends that Haggard placed his novel in some general central African setting. Other legends and modern explorations place the Mines in the Middle East. Sir Arthur Conan Doyle made a late entry into the genre with one of it's most classic tales: 1912's The Lost World. In this story of a lost plateau where dinosaurs still reign, Conan Doyle manages to bring together the trends of Scientific Romance and Imperialist Adventure through both its scientific and its imperialistic ambitions. On the former hand we have the robust scientist George Edward Challenger, who's interest in the Lost World is scientific discovery, not unlike the exploration tales of Jules Verne (eg: Journey to the Centre of the Earth). But on the former hand we have the Great White Hunter John Roxton and the attitudes which the entire Challenger party carry with them from England, including a disgust at humanity's family tree and a fairly typical western desire to "solve" the problems of the "savages" for them... An arguement for imperialism ever since Rome and still present today. Besides Allan Quartermain, Rider Haggard was responsible for another Imperialist Adventure archetype in writing She, Who Must Be Obeyed. Sometimes, it was not the Great White Hunters who brought civilization, but rather, they who found an existing ancient white empire. In She, a young man and his aides journey into deepest Africa to discover the long lost city of his ancestor Ayesha, an ancient Greek queen who remains alive thanks to arcane magic. Another variation on this was the famous Tarzan series by Edgar Rice Burroughs. Here, Lord and Lady Clatyon are set ashore in east Africa following a mutiney on the ship they chartered passage on, even as Lady Clayton nears the end of her pregnancy. Meeting their end at the horrors of the jungle, the infant Clayton is adopted by a tribe of great apes and raised as one of them, becoming Tarzan of the Apes. History repeats itself, and another group of white men (and woman) is abandoned on the coast, where they meet Tarzan and he becomes reintigrated into society. The Great White King provides the basis for another novel, being 1910's Prester John by John Buchan. All is not well in colonial Transvaal, where a black rebellion is being led by Reverend John Laputa, who claims to be inheritor of the mantle of Prester John. Prester John is actually a mediaval myth about a great Christian ruler residing either in India or Africa, presiding over a fantastic kingdom of peace, wealth, and exotic creatures such a unicorns. Filled with the same pro-Imperialism ideals as other novels in the genre, Prester John ends with the defeat of the rebellion and the "proper order" restored. Joseph Conrad created a dark satire of this genre in his novelette Heart of Darkness. The story completely reorders the Imperialist dogma... The plot is that a man, Marlow, is sent from The Company to track down their employee Mr. Kurtz, who has set up a trading post/empire in the heart of Africa, and see if the bloodcurdling rumours of his misdeeds are true. As he journeys down the Thames river and out to sea, Marlow muses about how England itself was once a far flung region filled with primitive savages... It was to the Romans what Africa is to the British. Reaching Africa, Marlow is exposed to the various crimes of colonialism, and by the time he meets Kurtz, he discovers that the true Heart of Darkness lies in the heart of man. Instead of white man bringing civilization to the savages, the white man became a savage, and the white kingdom of inner Africa was anything but Christian. Heart of Darkness marked the first pangs of doubt about British Imperialism. By the Edwardian era, the anti-Imperialist movement was in full swing, and the Imperialist Adventure genre of literature was in swift decline. 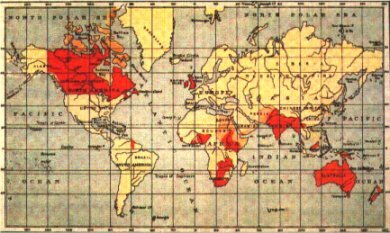 Conan Doyle even alludes to this in his novel The Lost World when a character observes that the blank spots on the map have all been filled. Prester John was a very late and out of place entry for how jingoistic it was. The genre survived into the early years of film, as producers went to literary classics for inspiration. 1925's The Lost World was one of the great films of the silent era, but even this morphed the genre just a bit. Though the novel was envisioned as a boy's adventure, the film simply had to add a love interest (or as The Lost World's 1930's follow-up King Kong observes: "Isn't there any adventure or romance left in the world without putting a Flapper into it?"). A purer Imperialist Adventure was the 1932 Tarzan of the Apes starring Johnny Weismuller. Though Tarzan was seen in silent films, this is the archetypal King of the Jungle. In it, Great White Hunters seeking the elephant's graveyard and the stores of ivory therein encounter Tarzan, fight off jungle beasts, and run afoul of a tribe of midget cannibals. As the literature goes, though, the Tarzan series actually finds itself making the transition between two genres... Stories of two-fisted adventure have always appealed to audiences, but as Imperialism waned, Tarzan found himself involved less with hidden kingdoms and African tribes and more with spies and WWI action... It was the birth of the Pulp hero. From the seeds of Allan Quartermain rose figures like Doc Savage.